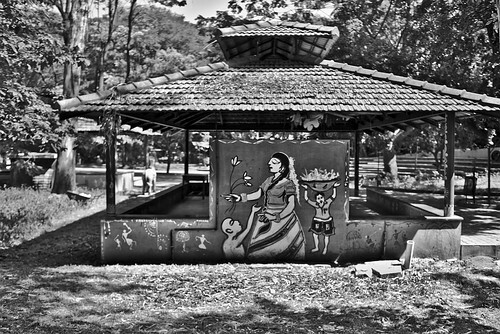 Small hut with a mural-like painting. Though this photo is out-of-focus, I still liked the scene enough to spend time on recovering it. I think I over-did the processing here.